Carrie began her career in residential real estate in 1996. Real estate has always been Carrie's passion, and, as well, her only career since graduating from St. Bonaventure University. She has been consistently recognized as one of the top real estate agents in the Capital region and has been a multi-million-dollar producer for over two decades. She specializes in the sale of luxury single-family homes, condominiums and cooperatives in the many areas she serves throughout the Capital region. Carrie truly loves her work, and it shows. Buyers and sellers alike have praised her not only for her great energy and positive attitude but for the efficient, organized, and thorough manner in which she approaches their real estate search or sale. 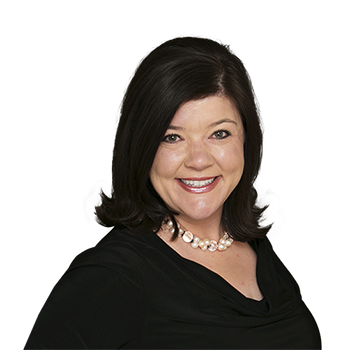 Carrie strives to make her clients' experiences enjoyable and rewarding. She listens carefully to their needs from the start and always understands their wish lists. Thereafter, she provides close, attentive service throughout the process to ensure a seamless transaction. Carrie is an Associate Broker in the District of Columbia, Maryland and Virginia. Let's face it, buying a house in the D.C. area is highly competitive and stressful - particularly so as first-time home buyers trying to break into the market. But with Carrie, my husband and I were able to rest easy knowing that our realtor was putting us in the best possible position to succeed. She proactively pursued houses that fit our description, helped us to act quickly and aggressively when we found a house we wanted to act on, and didn't stop until the job was done. My husband and I are now so happy to be living in our dream home with much credit due to Carrie for her expert guidance and tireless efforts on our behalf. Plain and simple, Carrie gets the job done and does it with utmost professionalism, compassion for her clients, and efficiency. Carrie is a pleasure to work with and I couldn't recommend her more highly. Carrie helped walk me through purchasing my condo as a first-time buyer in 2010. Six years later, when I was ready to sell that same condo, Carrie was just as friendly, familiar, and professional as the first time I worked with her. She is tireless and unflappable and went the extra mile to keep me updated on the latest news after I relocated to a new city, and even took care of the small but important things I wasn�t able to do myself. I felt so relieved knowing I had Carrie on my side. And her hard work got my condo sold faster than I could have ever hoped. Carrie became more than just my realtor and advisor � I consider her to be a counselor, motivational speaker, and friend. I know she will be the same force for you that she was for me. I've worked with Carrie Carter as my agent in buying and selling DC real estate for close to 20 years. Most recently, in August 2016 Carrie helped me purchase another property in DuPont Circle. I relied heavily on her expertise to find exactly the right property to suit my needs, negotiate a fantastic deal, and close without any drama. Once again, I was impressed with how Carrie brings a seamless blend of strategy, professionalism, and thoughtfulness to how she collaborates with her clients. If you're thinking about buying — she is fantastic! Carrie, thanks so much for all your help and expert guidance throughout the process — in a word, you were AWESOME. Carrie is a true master at the art of helping people find the right home. She led me through the purchase of my first home with attentive care, taking time to understand and address all my priorities and concerns. Communication with Carrie is always clear and efficient. I had lots of questions�large and small�and was consistently impressed by her swift and reliable responses. As it turns out, she helped me win a competitive bidding war and navigate the settlement process with calm and conscientious attention to detail. Throughout the process, her warm and professional manner made it a tremendous pleasure to work with her. I recommend Carrie without hesitation to anyone interested in a fulfilling search or sale! We have sold two homes and bought three homes with Carrie and would buy more if we were still in the market. Carrie worked with us to buy our first apartment when others were not interested in helping a young couple who needed a deal. She found us a great apartment and held our hand as we went through the process. Once Carrie knows your preferences, she is a great ally. She helped us buy our second home when we had a one-year-old and one on the way. She directed us to the right neighborhood and helped us see a wonderful house through old wallpaper and a need for renovations. Finally, she helped us buy our dream house just this past December. She was a strong negotiator and helped us get the price below the asking price. We would recommend Carrie to anyone and are glad to call her a friend. Carrie helped us buy our first home in 2012. She made it feel so smooth and easy that when we decided to move again, there was no question who we would call. Carrie has an amazing ability to demystify the home-buying process and make it feel incredibly manageable and as stress-free as possible. When we weren't sure what questions we should be asking our home inspector, Carrie was there with guidance. When we needed a recommendation for a lender, Carrie knew just who to talk to. Her extensive knowledge of the area made it easier to hone in on specific neighborhoods and communities—so easy in fact that we found our home on the very first day of looking at houses with Carrie. We would 100% recommend Carrie to anyone looking in the DC metro area—she is the best! Carrie was truly a pleasure to work with. As a first-time home buyer, I anticipated the process being a very stressful experience � especially in the competitive DC market. From our first meeting, Carrie made me feel at ease. As a young professional, I had a very specific list of items that I was looking for in a property and needed to be very budget-conscious. In addition, I was working on a very tight timeline, and Carrie was always available at a moment�s notice to answer any question and provide valuable advice. My goal was to find a well-maintained home in a great neighborhood that I could maintain and improve upon. Carrie delivered and helped me to find the exact type home that I was searching for. During our initial meeting, she showed me a list of properties that would fit my needs, never pushing a property that was out of reach. We toured several homes, and her insight and knowledge of the area led me to the beautiful home that I live in today. Carrie has been in constant contact since our initial meeting, even assisting with questions about utilities and other new homeowner issues, and recommending contractors for future home improvements. At every step Carrie was open, honest, and persistent in helping me to find and get the home that I was searching for. I absolutely recommend her to anyone looking for a home in the area. Carrie managed to make the stressful process of buying and selling simultaneously into something more like a fun adventure. By the end we considered her a friend. Funny and charming, she's also a true professional with amazing intuition and an eye for detail, both when it comes to homes and to people. We were very happy with our results, including selling our house for more than expected. Thank you Carrie!!! Thank you very much for all of your time, experience, information and good instincts that you shared with us during the long search to help my daughter find her first home! You gave us both a very good education about the local real estate market, which is so important as one is about to plunge into such a large financial and personal investment. You made it lots of fun too! We are grateful for your low-key, but thoroughly professional approach. Both Julia and I warmly recommend you as a great agent to anyone buying a home! She is so happy with her beautiful new condo! I cannot say enough amazing things about Carrie. She is the consummate professional: always on top of her game and an incredibly supportive advocate for her clients. She exhibited valiant patience during a very long and protracted deal and proved to be a tenacious deal-maker when it got down to the wire. She is calm under pressure and was always a source of sound wisdom and spot-on advice. There were many points in the process where I wasn't sure if I needed her more as a broker or as a therapist�she succeeded in both roles! Plus she's a lot of fun to be around! We are so grateful to her for finding, negotiating, and closing on our family's dream home! Carrie was fantastic from start to finish. She provided highly personalized attention and went way beyond anything I would expect any broker to do to help us sell our home. She was very knowledgeable about the DC market and helped us navigate the entire process. I can't recommend her highly enough. Carrie is a fantastic, knowledgeable, and very experienced real estate professional. My wife and I have worked with Carrie on several transactions, most recently in the sale of a townhouse and purchase of a home. She is very perceptive of her clients' needs and took the time to understand our criteria and the timeline we were working on. She is also very responsive, often at late hours, and willing to go the extra mile to make sure we had all the information to make the right decision about our home purchase. Perhaps most importantly, she is a skilled negotiator and understands how to get the deal done, knowing when to push and when to give, and above all making sure our goals were met. I would not hesitate to use her services again and recommend her without hesitation to others. I am grateful for the opportunity to brag about Carrie Carter! When my husband and I were new to the buying scene more than a decade ago, we met Carrie at an open house and never even considered interviewing another agent. She was vibrant, encouraging and incredibly smart. We ended up in a house we loved (with multiple bids in a very competitive market) and ultimately handed the house back over to her to sell (again, benefiting from Carrie's expertise and securing the best offer among multiple bids) when we moved to London 5 years ago. Also, in the interim, we have referred her to other friends who she has gone on to sell for. We recently decided to move back from London, so it was time to rely upon Carrie's experience and style again. Earlier this spring, she patiently and wisely walked us through our options and literally acted as our eyes from afar, scouting neighborhoods and houses. In a market with very little choice (especially given the parameters we were hoping for), with her finger literally on the pulse, she found a house on the cusp of coming onto the market in an incredibly desirable neighborhood that merited "I think you need to fly over�quickly!" With Carrie spearheading an amazing transaction�given the market, timing, distance and our desires (! )�we are closing on our property next month. I must just add one more tidbit: Our relationship was taken to another level when Carrie met my parents, who stood in for my husband and me during the recent house inspection. Now my Mom and Dad want to buy a house from her! Carrie is truly the whole package: strategic and professional, positive and honest, well-connected and trustworthy. Also, she is fun and stylish, which brings joy to a process that can be daunting and grueling. My wife Susan and I are very satisfied clients of Carrie's. She was terrific. Carrie showed us numerous properties and worked incredibly hard, was very responsive on email, was never unavailable, went to extraordinary lengths to help us with the due diligence, and even helped us find maid services and schools for the kids at the end. Just before closing Carrie discovered some issues with the house that we resolved. My lawyer told me that "Ninety-nine out of one hundred brokers would not have uncovered those issues." I was very impressed with Carrie's professionalism and commitment to us as clients. I've never seen a broker work so hard for a client, and we feel so lucky that we hired her. I have referred her to numerous colleagues and friends. I recently bought my fourth house, but it was my first time working with Carrie. I knew what I wanted and where. She knew the neighborhood and stock like the back of her hand. Only four places fit my requirements, and I bought one of them. The entire process from contract to closing was complete in two weeks and was effortless for me. I am never buying or selling another house without Carrie again. My husband and I were first-time home buyers and soon to be first-time parents when we were referred to Carrie. We had so many variables to juggle, everything from wanting to be close to my parents, who live in a high-priced neighborhood, to needing a mortgage we would be able to handle on one income, to the more intangible desire of finding the right �nest� for our growing family. At one point we were so sure we wouldn�t be able to find a two-bedroom in the neighborhood we wanted, we were asking to look at one-bedrooms with large closets for junior! Carrie, however, was persistent, and she worked tirelessly with us until we found just the right (two-bedroom) home. We even used her recommended workers to paint and redo the floors and we were delighted with their work. At every step Carrie was open, supportive and diligent in her efforts to help us buy our first home. We would recommend her in the highest! Carrie is everything I expected and more from a real estate agent: detail-oriented, responsive, knowledgeable, good-humored, and a trusted advisor through the negotiation, inspection and closing processes. She was truly a pleasure to work with. She gave us loads of helpful information along the way, and by the end she had become a friend. As a result of our positive experience, we have already recommended Carrie to a number of friends and colleagues.